NEW! 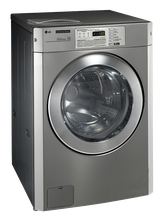 LG Platinum Vended & On Premise washers manufactured exclusively for Continental and distributed by Machinex. NEW APOLLO TUNSTALL HE-TA-50 Energy Saving Steam Trap.